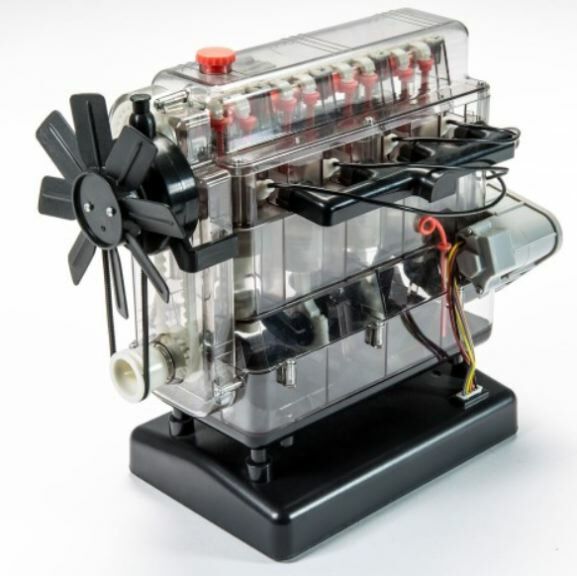 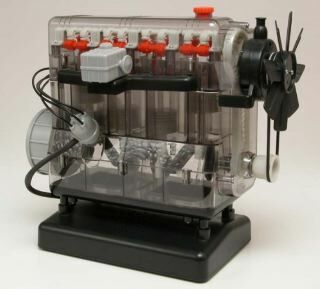 Discover how a combustion engine works by building your very own working model. 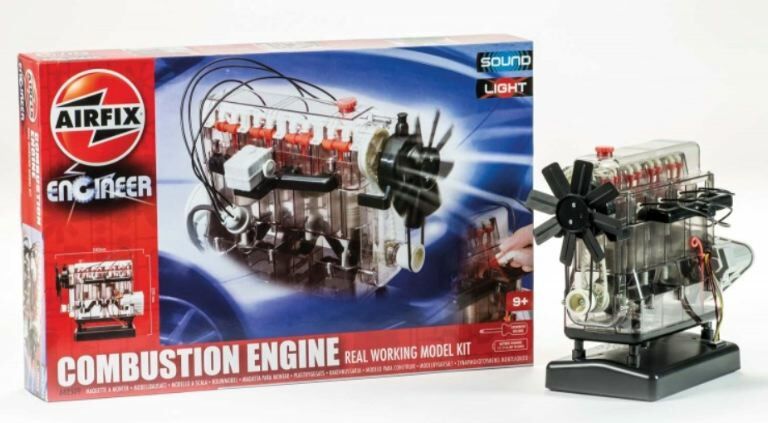 Using the simplified instructions, piece together over 100 parts to build an engine with movement and lights. This fantastic engine is a marvellous and fun way to learn all about how an internal combustion engine works. First the engine 'starts up' and then it runs 'firing' to show how the combusting fuel and air drives the pistons down to make the crankshaft turn.